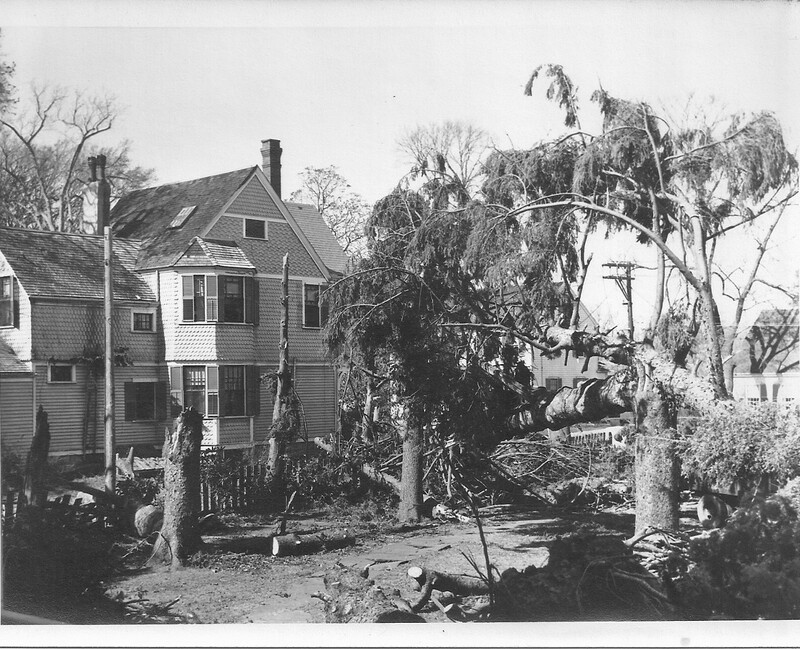 Cape Cod Hurricane Photos from 1944 were part of a number of recently discovered historic photos many featuring The Captain’s Manor Inn formerly known as Mostly Hall. 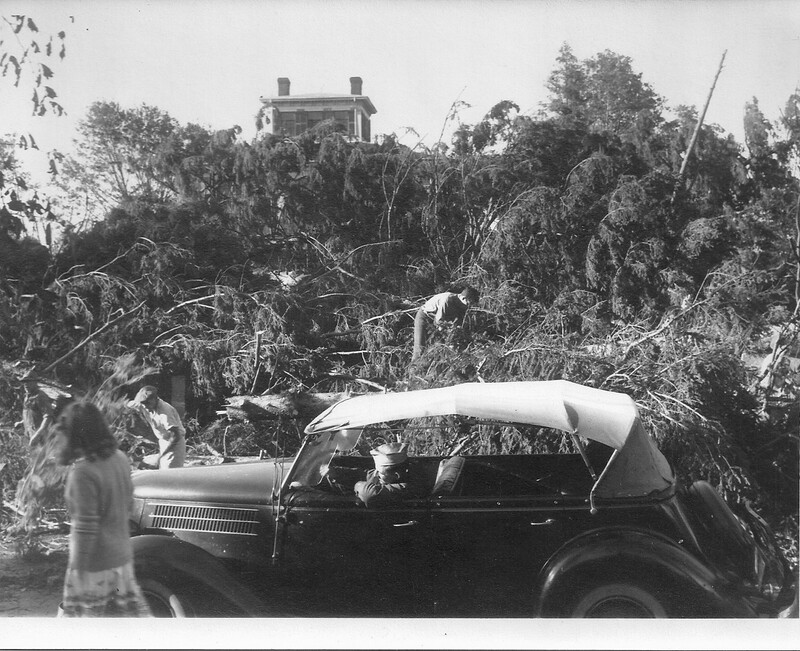 We came across a number of very impressive photos while working with the Falmouth Historical Society and we are going to be doing a few postings so we can share with you a little bit of Falmouth history. 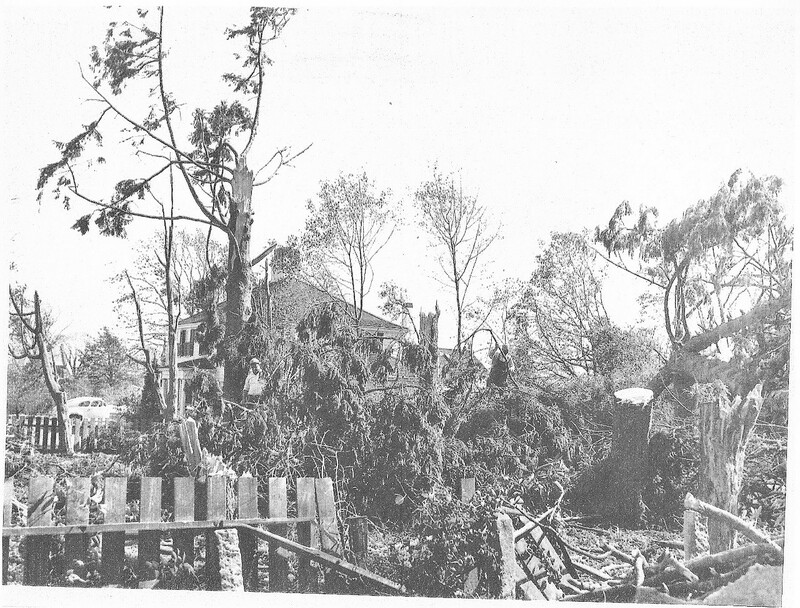 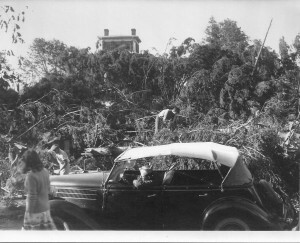 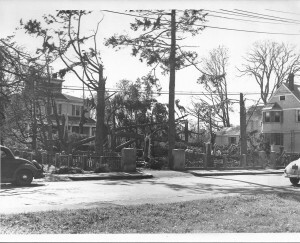 In this posting we are sharing pictures of some of the devastation on Cape Cod here at the Captain’s Manor Inn during the 1944 Hurricane. 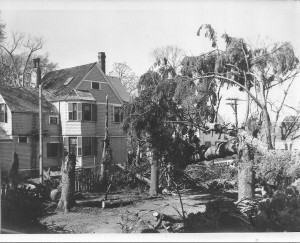 This storm carried winds peaking at 145 miles per hour and as a category 2 storm. 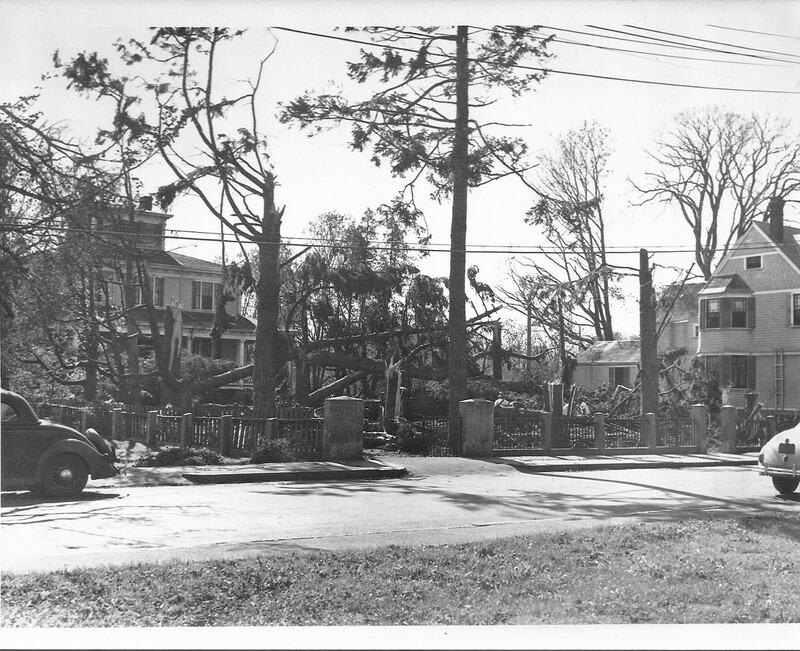 Because the storm was so massive in both its size and intensity it was given the title the Great Atlantic Hurricane and it was the first storm to get a name by the National Hurricane Center then based in Miami and known as the Miami Hurricane Warning Office. One sad fact is that the storm was famous for sinking what was known as the lightship LV Vineyard Sound killing all 12 men who were on board.